Medical Service Providers at most times suffer from maintaining the rising operation costs as well as providing quality healthcare services. Marketing budget eats up a major portion of this budget. The Medipedia Platform reduces this to zero. The blockchain framework ensures filtered peer to peer connectivity between one and all in the network. The Medipedia blockchain algorithm ensures that the patients get all updates and data regarding the specific areas of their needs and choose the best services on offer. Service providers can offer the best offer in sync with their services and facilitates as well as with that of patients. A robust feedback and reward point ranking system ensures that outperforming service providers are equally highlighted and rewarded on the platform with maximum visibility to patients. Further, integrated support for online consulting, remote diagnosis on the platform open up new income sources independent of any centralized body. Private practitioners/consultants can benefit the most from these. The faith of Pharmaceuticals and Medical Institutions suffers mostly from the fear of becoming irrelevant. Medicare is becoming more and more data and technology (machine) driven. Data insights play a pivotal role in research as well as improving efficiency. Medipedia platform is a perfect breeding ground for both. Research funds are hard to come by these days. Especially mushrooming Pharmaceuticals and Medical Institutions can benefit tremendously from the decentralized and accumulated information of Medipedia to discover new cost-effective methods and technologies for the treatment of deadly diseases as well as evaluate current procedures of treatment to make them more efficient. 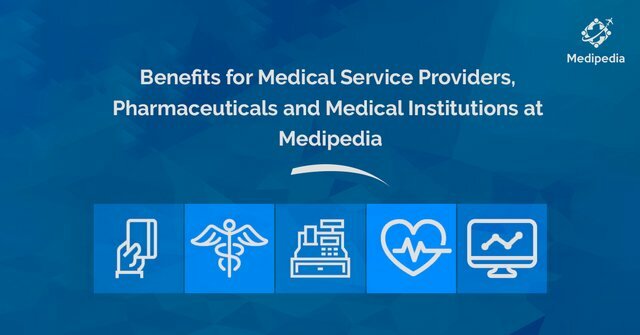 For more information about Medipedia, please visit our official website.